You will earn 1768.00 bonus points. ? Turn your bedroom into a high class bed chamber with this curvaceous bedroom bed. 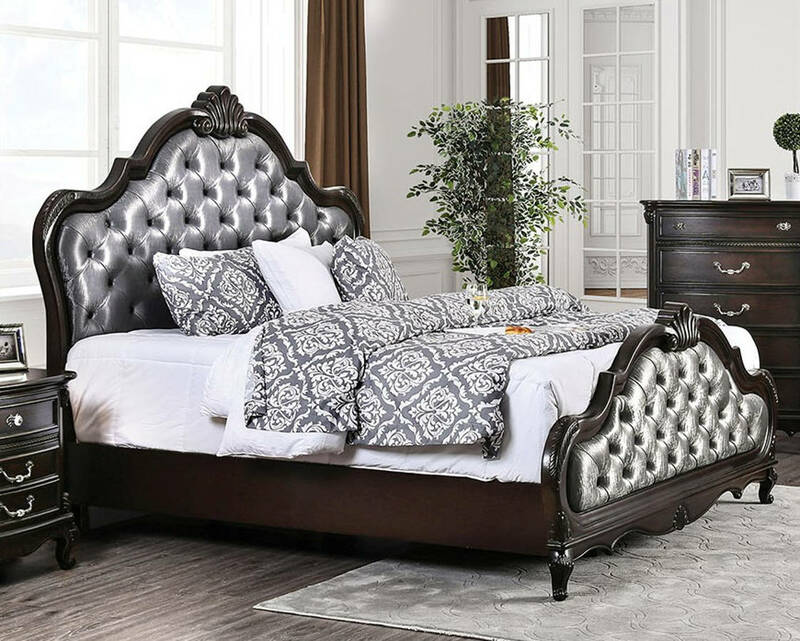 The curling wood trim on the headboard and footboard crescendo to a fluted seashell motif crown. The deep tufting add some comfort but in a luxurious almost decadent sense that elevate the feeling of extravagance in the room.